With so many incredible things to do, deciding which places to visit in Mumbai in one day can be tough! But don't worry, we've got you covered below! Mumbai really is a city like no other. Even compared to other major tourist destinations in India, such as Jodhpur, Jaipur and Udaipur, Mumbai really is in its own league of craziness! As soon as you step off the train, bus or plane, you’re engulfed by the sites, sounds and smells that Mumbai has to offer. 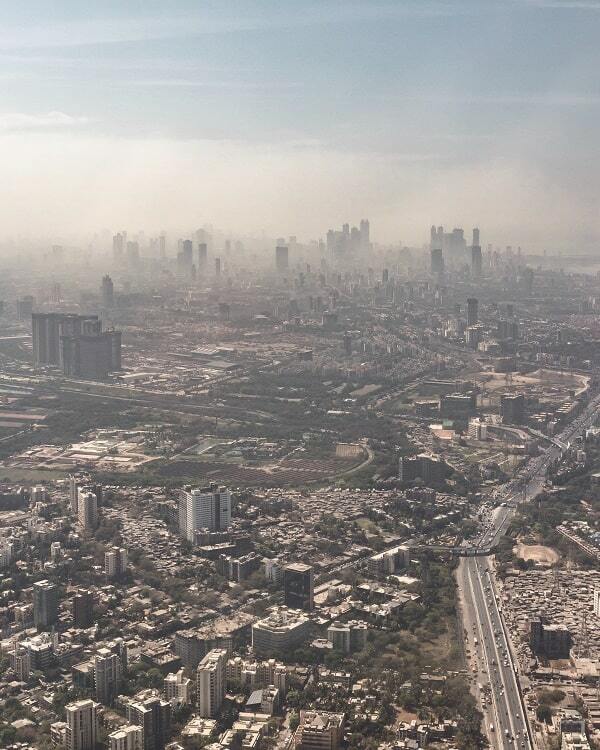 There are more than 18 million people living in Mumbai and it almost feels like the city is going to explode! And amidst the overwhelming mass of people, buildings and cars, there are still so many incredible places to visit in Mumbai in one day. In fact, there are so many that it’s hard to know where to start and what to choose to do. Well, after spending 3 days there, we managed to whittle it all down to 14 great things that can all easily be done in one day. Other than that, we would recommend leaving as soon after, the noises and smells can all be a little too much. If you've got just 1 day to explore Mumbai, then it’s important that you stay in the right sort of place. But don’t worry, as well as planning your itinerary for you, we’re also going to tell you about the 3 best places to stay! Each one is perfectly situated close to the action, but each one catering best to a certain budget. Regardless of where you choose to stay, I recommend using Booking.com. They offer the best rates and have the biggest supply of accommodation in Mumbai to choose from. This is where we stayed in Mumbai and I would definitely recommend it if you are young, looking to meet new people and on a budget. We rarely stay in hostels, but decided to choose this because it was meant to have a great party atmosphere and be well situated for sightseeing. It delivered everything we expected and they do indeed seem to host bar crawls almost every night! I picked this hotel because it offers good rates per night and has modern, well furnished rooms throughout. More importantly, it is well-situated in Mumbai, close to the Gateway of India and the Queen’s Necklace. And with so many places to visit in Mumbai in one day, location is of crucial importance. Also, they come with plenty of good quality review scores, above and beyond what most other hotels in Mumbai seem to offer. In itself, this is one of the best places to visit in Mumbai in one day, and you will find that I discuss it in more depth below. But there really is no other hotel in Mumbai more luxurious and more iconic. Numerous celebrities and dignitaries have stayed here over the years so, if money isn't an issue, then you will not go wrong here. OK so, if you really want to see all of these awesome Mumbai attractions in one day, then you need a solid plan for getting around. The city itself, though not incredibly large, is very busy. Also, many of these most popular things to do in Mumbai are distributed all across the city. So yes, to really experience all of Mumbai in just one day, you’re going to need to travel from North to South. This was our chosen method of getting around India, simply because they are everywhere and the most comfortable way to get about. You can hail taxis almost everywhere. However, do expect many of them to try and rip you off. Instead, I recommend downloading either Ola or Uber and using those where possible. As a base rate, expect to pay around 550 rupees minimum to get from the Gateway Of India in the south of Mumbai to the Mahakali Caves further in the north. If you're travelling long distances through the city, then the metro should be by far the cheapest and fastest way to get around Mumbai. They have quite an extensive rail network that allows you to cut quickly to many of the most popular tourist destinations. I’ll be honest, we didn't end up using this ourselves, so instead recommend checking out this really useful guide here. Normally, whenever we visit a city and have lots of places to see, our go-to choice of transport is a moped. And in Mumbai, it is just as possible as everywhere else. Once again, we didn't use this option, mainly because of the smell and traffic in Mumbai. Honestly, the smell can be really awful in most parts of the city, so wouldn't recommend this for that one reason. Yes, the traffic is pretty mental so don't choose this option unless you’re fully confident on a moped and have had plenty of practice. When choosing your moped, be sure to check out this guide I wrote here. This might be your best choice as your driver will have an expert knowledge of the whole city and can then take you from stop to without you needing to waste time in between. Pretty important as there’s a long list of great places to visit in Mumbai in one day and you’re really limited on time. I can’t advise you on an exact price. Instead, your hotel/hostel owner should be able to recommend a fair price. Be sure to ask a few drivers first and then haggle a little. Hiring a tuk tuk (or rickshaw as they call them) will be cheaper. But, once again, you will need to put up with the smell and heat to a larger extent. That’s right, there’s no getting away from it … you're going to be doing a fair chunk of walking! But don’t worry, I don’t expect you to walk all through the entire city. But do be prepared to walk between many of the sites that are grouped closest together. This works out cheaper, easier and allows you to experience even more of the city. Below, I’ve laid out all of the best places to visit in Mumbai into a sort-of one day itinerary. Meaning that you will find it possible to walk from quickly from many destinations. Mumbai is the Bollywood capital of India and it’s an industry that really is booming! Bollywood stars are just as famous in India as Hollywood actors are in the western world and every year, Bollywood movies seem to be getting better and better. There are a number of areas of Mumbai to visit which allow you to explore Bollywood movies being filmed. The biggest and most famous area for filming being Film City. To get the full experience, it is possible to get a cheap tour. Such as this one here. If you decide to stay in Mumbai for more than one day, then why not take the chance to be in a Bollywood movie?! Apparently, they are always looking for extras and I would have relished this chance if we had more time in Mumbai. 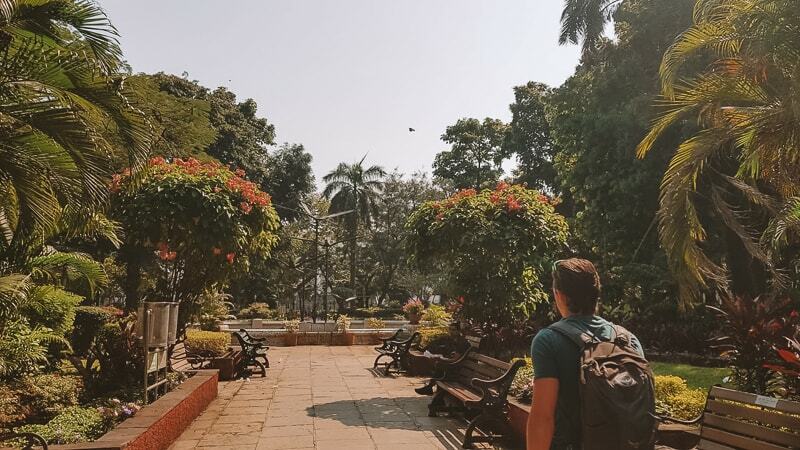 Ok this has to be the most surprising things to do in Mumbai, simply because it’s not your ordinary tourist attraction! In fact, Mahalaxmi Dhobi Ghat is a large, open air laundromat! It has been operational since the late 1800s and is a very popular spot for both tourists and locals alike. It is widely considered the world’s largest open air laundromat, with close to 7,000 people working here! In fact, around 200 families actually live in the ghat, with many of the families having done so for generations. If you get it from the right angle, you can capture some wonderful shots of the ghat, with all of the hanging clothes creating a whirlwind of colours. There are a number of different markets located all across Mumbai. We had only chance to visit a few, but you can find out more about all of the available ones in this article here. In particular, I recommend checking out Chor Bazaar. 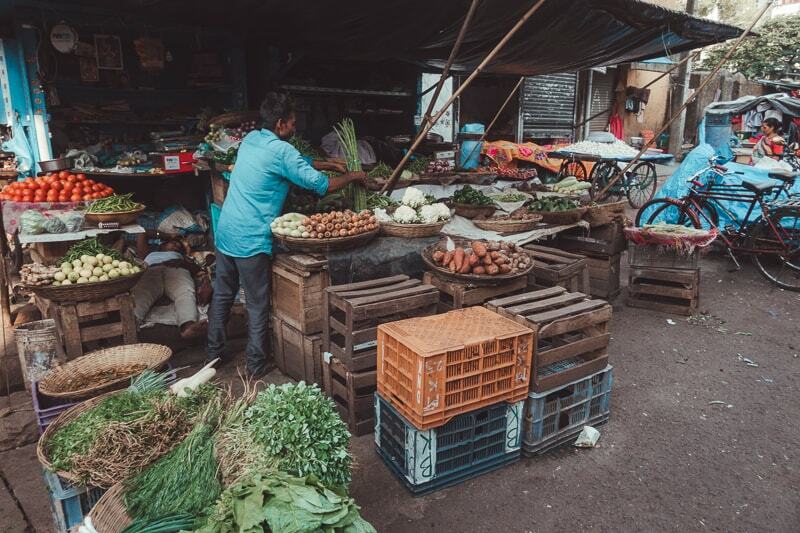 It is perhaps the most infamous market in Mumbai for a number of reasons. But mainly because many of the items here are stolen! That’s right, Chor Bazaar literally means “The Thieves Market”, seeing as so many traders here sell stolen goods. It is best to arrive as early as possible, around 7:30 am, if you want to pick up some real bargains. Oh, and be sure to haggle! Like most markets in India, the traders will try to rip tourists off. As a rule of thumb, take whatever price they offer you and immediately half it to get a closer representation of an item’s true value. Bandra Fort is one of India’s oldest historical sites, having been built in the 1600s by the Portuguese, back when they controlled the region. The fort itself isn't particularly large as it has suffered from years of disrepair prior to being repaired slightly in the early 2000s. I recommend this because then you get to experience both of Mumbai’s coastlines in your day trip. If it’s a clear, sunny day, then you should get some nice views from standing atop the fort. In my opinion, the best beach for you to enjoy when in Mumbai is mentioned at the end of this list. However, if you’ve got some time to spare and really do love beaches, then this is arguably the best beach in Mumbai to visit during a one day stop. Apparently, this is also the most popular beach in Mumbai for celebrities. Not that I’m sure what your chances of success are. 6. Check out the slums … from afar! The film Slumdog Millionaire made famous the extent of Mumbai’s slums and what goes on in them. And this has led to a massive rise in the number of tourists heading to cities like Mumbai in order to go on tours and see how people really live. This falls into the category of Tourism Poverty which is something that Cazzy and I aren't a big fan of. Sure, you can pay for a tour that takes you around the slums, but to me it doesn't seem right to wonder amongst the streets where pope live simply to be fascinated by how difficult and different their lives might seem. This leads to a whole host of problems on it’s own. But ultimately, it’s up to you! If you do go for a tour, you can book one that gives all money received back into local community projects. There are a few museums to be found in Mumbai, but this is the biggest. It is divided up into 3 main sections for you to explore: natural history, art and archaeology. In total, there are around 50,000 artifacts on show, with items coming from all over the world. However, it is not just what is inside the museum that is so impressive. The building itself is wonderfully built and the grounds in front of it are beautiful. It's a great spot to stop and get some pictures, and the grounds feel like a haven away from the hustling, bustling city all around you. Learn more about the Prince of Wales Museum here. Gharapuri literally means “the island of caves”, which is what Elephanta Island is so famous for. It houses a number of caves, mostly dedicated to Shiva, the Hindu God. The Elephanta Caves are carved out of the island's rocks and you could spend a good few hours roaming around enjoying this peaceful little island. Getting here takes about an hour by boat and you leave and return to a dock near to the Gateway of India (discussed below). Ideally, you want to try and get across around midday, as the last ferry leaves at 2pm and there's a new things you need to see back on the mainland before the day is out. This is Mumbai's most famous tourist attraction, and you simply can’t afford to miss it. It was built to celebrate the arrival of King George V on his visit to Mumbai in 1911. Construction didn't actually finish until some years later, but the Gateway soon became an incredibly popular and famous spot in the city. 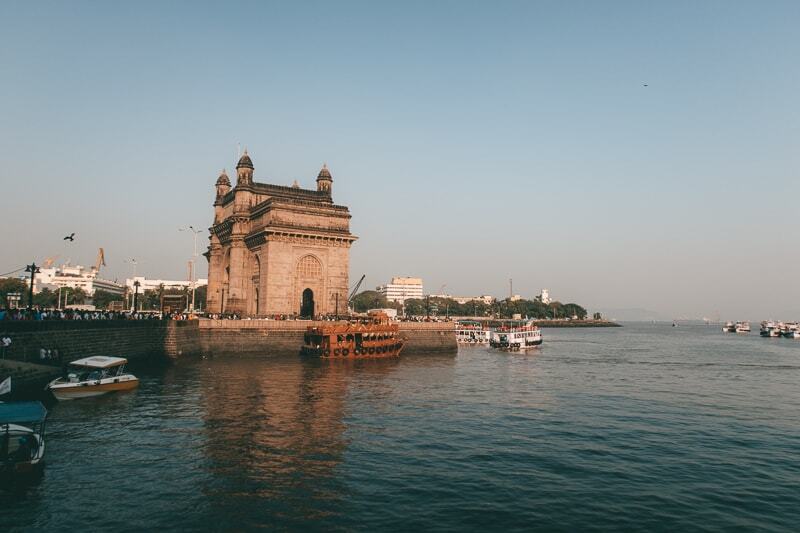 Due to its prime location in Mumbai’s harbour, it was the first thing that most people saw when landing in Mumbai and indeed India. When you visit now, you have to first go through a security checkpoint. There were terrorist attacks outside the nearby Taj Palace Hotel in 2008 and I think since then there have been restrictions in place. As such, when you visit you are crowded in amongst hundreds of other tourists all trying to get the perfect shot. Which is virtually impossible when busy! 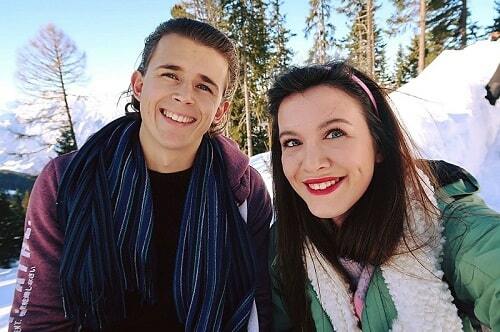 If you’re white, then you will constantly be hounded by locals asking to take their pictures with you. Of course, you get this all over India, but this was the worst that we were bombarded anywhere! 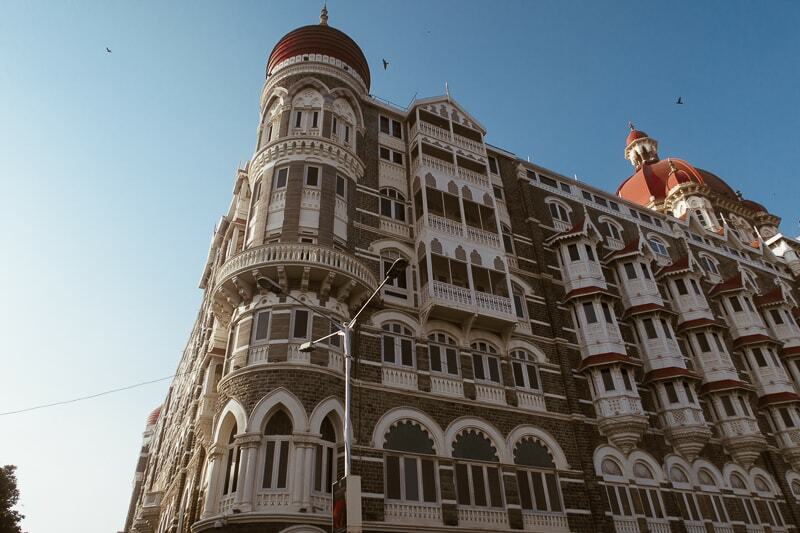 When you're visiting the Gateway Of India, it’s impossible to miss the Taj Mahal Palace Hotel. It is located right next to it and is by far Mumbai’s most luxurious and inspiring hotel. If you want to grab some photos, then I recommend doing so when you're inside of the Gateway Of India compound. It’s hard to get a great angle for it other than when you are here. The hotel was first opened in 1903 and has hosted numerous presidents and celebrities over the years. It also served as a military hospital during WWII, so the building has a rather fascinating history. Once you’re done admiring it from the outside, why not head inside and treat yourself to a luxurious lunchtime meal at the Taj Mahal Palace Hotel? That’s right, aside from being an incredibly attractive hotel from the outside, it is even more grand on the inside. And, best of all, it’s open to the general public. Meaning that, though you might not be able to stay there for a night (at $350 a night, seriously check it out!) then you can at least dine there. However, be warned, it can get very busy. As such, it is recommended that you book ahead in advance. Which you can do through their website here. Mumbai actually plays host to some truly spectacular buildings. If you’re a fan of architecture, then you’ll find plenty to see in mumbai in one day. 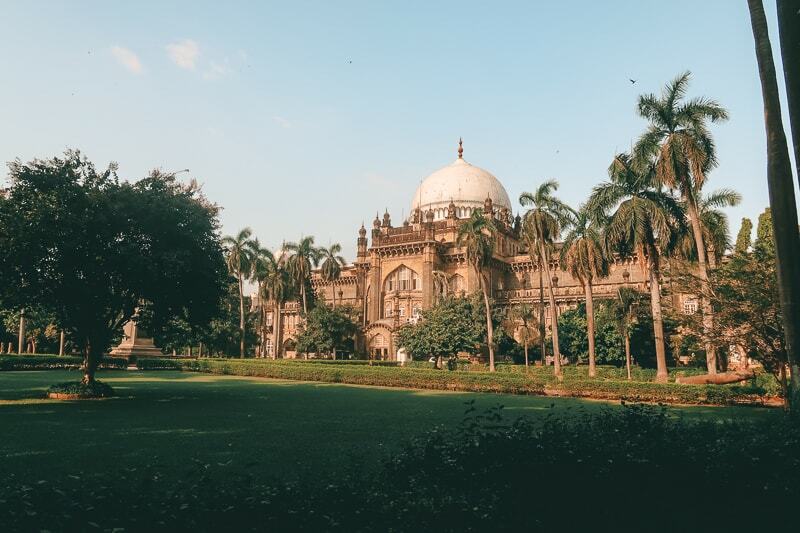 Aside from other sites mentioned in this post, we got the chance to enjoy Victoria Terminus and Haji Ali Dargah. 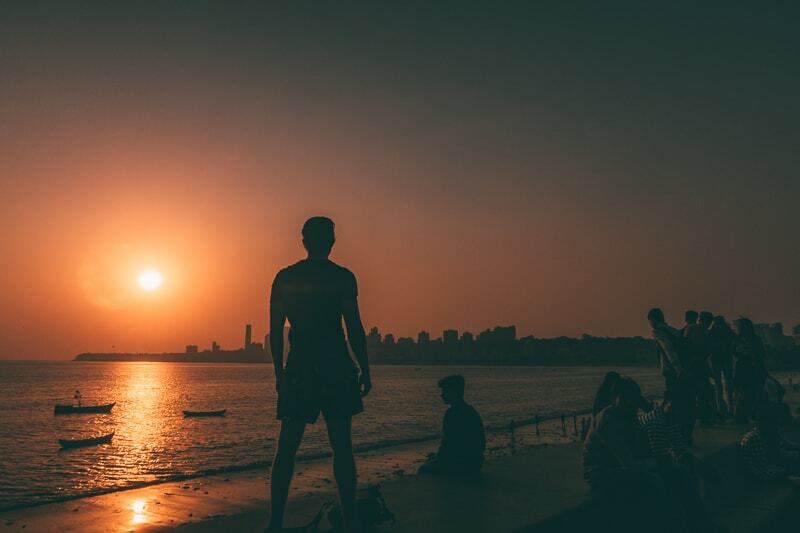 After a busy day spent exploring the city of Mumbai, the best way to end your sightseeing is by watching the sunset at The Queen’s Necklace. This is a large semi-circular bay in the south of the city. 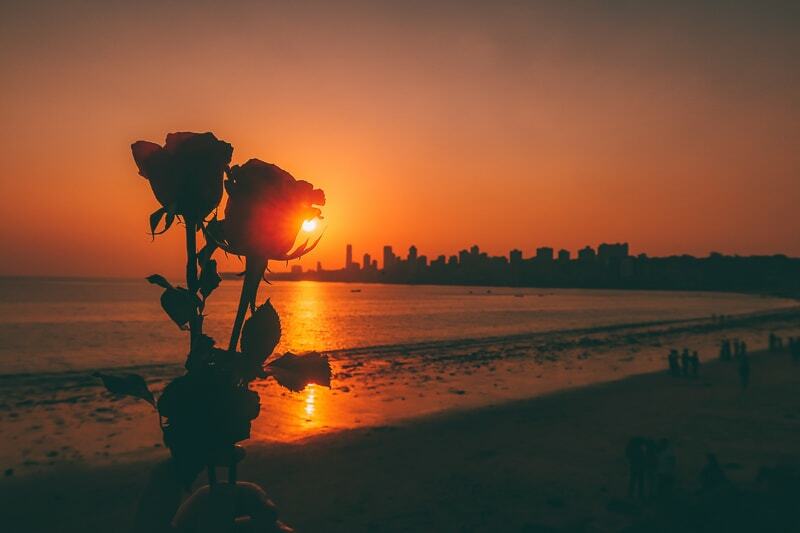 It's also known as Marine Drive and thousands of people flock here every night to relax on one of the beaches, stroll along the sea front and enjoy the breathtaking sunset. If you like, you can relax in a small bar/restaurant on the beach and enjoy some food as well. 14. Finally, finish up at The Hard Rock Cafe! 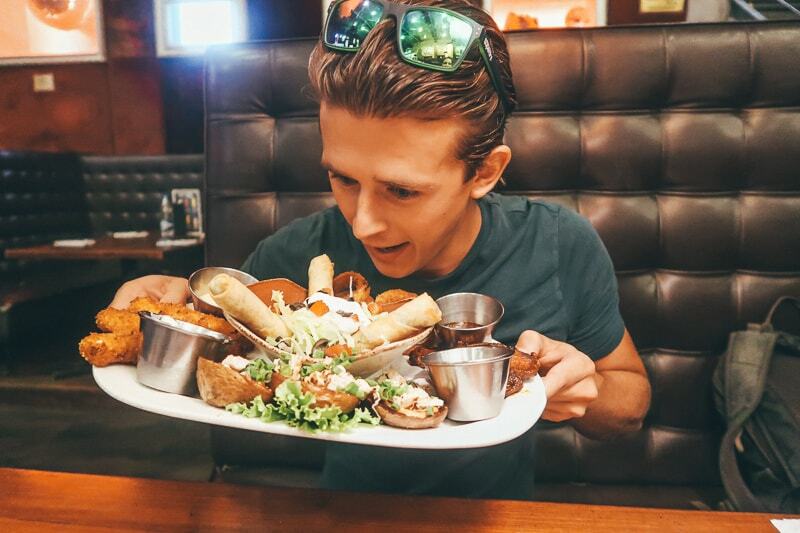 I may be a bit biased here, but we are big fans of the Hard Rock Cafe! 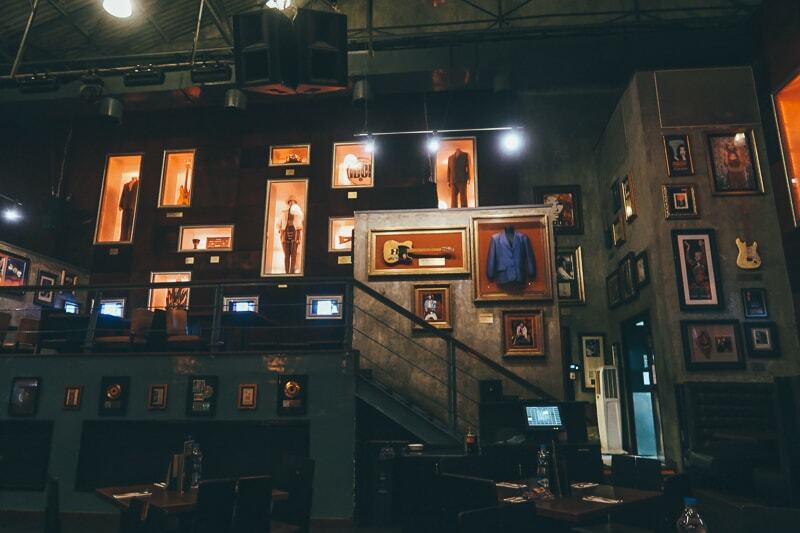 We try to make it a point to visit the Hard Rock Cafe in most major cities and really enjoyed our trip to the one in Mumbai. The prices were lower than what you’d find in other cities and the food was just as good! The cocktails were also great and the atmosphere incredible. In all, I believe we spent about $20 each for our meal and 3 cocktails. In our opinion, you can't beat great-tasting American food and classic 80s rock! So, if you’re the same, then be sure to head here for dinner. They actually have two in the city and we visited this one. Try not to visit on a Friday - This is Muslim prayer day so many Muslim-owned businesses will be shut. Such as Chor Bazaar which lies right in the heart of Muslim Mumbai. 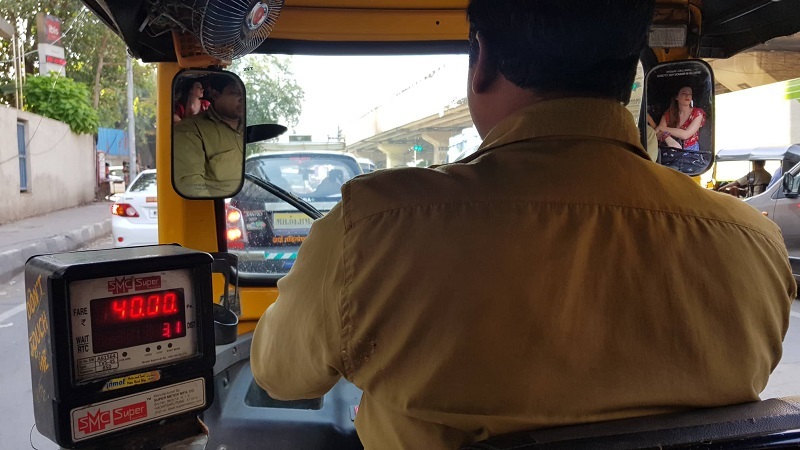 Watch out for pickpockets - Mumbai is notoriously bad for pickpockets, especially when strolling through tightly packed areas like bazaars and markets. So make sure you hide your wallet, phone and any other expensive items. You could take it one step further and have a small padlock over your bag’s zip, so no one can get in unexpectedly. Embrace the chaos - Mumbai is famed for how densely populated and chaotic it can seem. And ultimately, that is all a part of what makes the city so unique and charming. As long as you go into Mumbai with an open mind, there’s no reason why you can't have a truly wonderful time exploring the city. Throughout this entire 1 day Mumbai itinerary, I have tried to give my honest opinion. I don't mean to be harsh to the local people or to the city in general, but it does certainly have its downsides. But that is all just a part of visiting India. 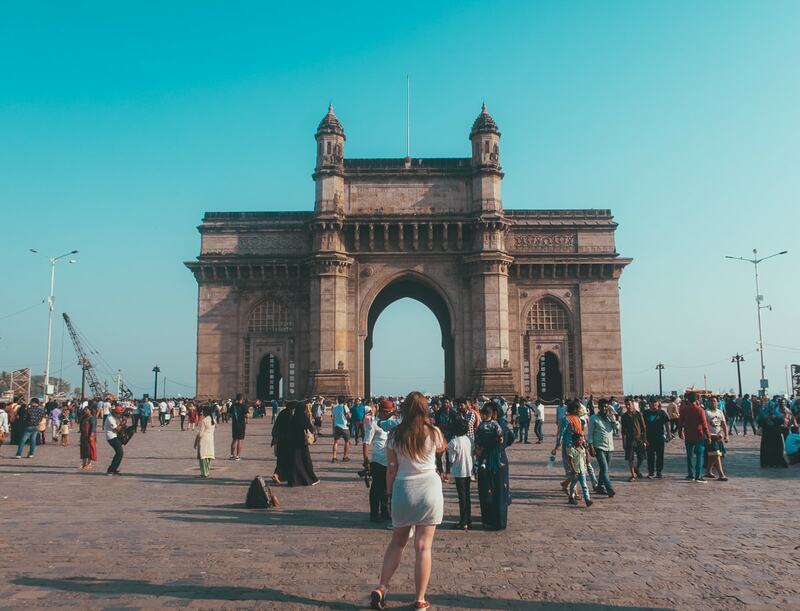 The country is famously an explosion of the senses and Mumbai is one of the best places to visit in India, because of everything it has to offer. If there are any other places that you visited in Mumbai in one day and would like to recommend them, then let me know below!